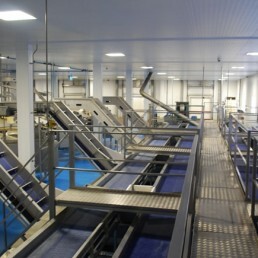 United Fish Industries (UFI) is a leading producer of fish products, with four facilities across the UK and Ireland. Its protein and oil products are used in a variety of ways by its customers – from animal feed, to leather for car seats, and in veterinary medicine. It is a subsidiary of Pelagia AS, which operates dozens of factories across Europe. UFI strives to add value and build relationships with suppliers to ensure continuity throughout the supply chain and deliver the highest product quality to its customers. 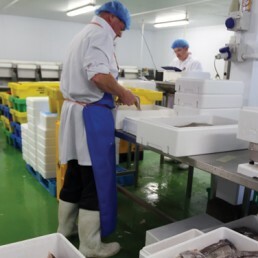 UFI faces ongoing challenges beyond their control; both in terms of the supply of raw material, due to the EU quotas on the fish allowed to be landed, and with the significant pricing fluctuations caused by wider international competition. Having timely access to accurate information from across the organisation is therefore essential to support the business in making important decisions around production, pricing and distribution. It was using a 20-year-old DOS based bespoke legacy system which had begun to lack the functionality and support needed to meet the evolving business requirements. In 2015 parent company, Pelagia, made the strategic decision to invest in a new comprehensive, global ERP system to more efficiently run its financials and operations. It selected Microsoft Dynamics AX and began working on a plan to deploy this across all subsidiaries and factories throughout Europe. UFI had its own production methods and operational practices as a subsidiary business. It also had laws, regulations and reporting requirements that were country specific to the UK and Ireland. It therefore needed a local partner to support the implementation of the new system to ensure it met their specific needs. UFI appointed Incremental Group in August 2015. 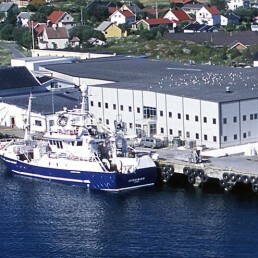 The overall programme was led centrally by Pelagia and their Dynamics AX partner in Norway. Incremental Group advised and supported UFI on the UK and Ireland deployment to bridge the gaps between the central system and their requirements. Incremental group assessed UFIs existing systems to replicate what needed to be taken into the new solution, worked with the team to capture specific additional requirements and liaised with the central partner to ensure these were incorporated in the right way. Dynamics AX was first installed in Norway, followed by the other regions, and now completely integrates companies across the entire group. In UFI Dynamics AX initially ran in parallel with the old system for 6 months until the beginning of 2017. During this time, there was a significant change management and training effort to help with the cultural change over to Dynamics AX. Pelagia has now integrated all its facilities across Europe with Dynamics AX, allowing consolidation and informed real time decision making. Locally, UFI will benefit from full visibility of current stock levels, production operations, and enable the reliable and efficient preparation of accounts and reports, empowering the business to identify issues and take more informed action quicker to improve performance.